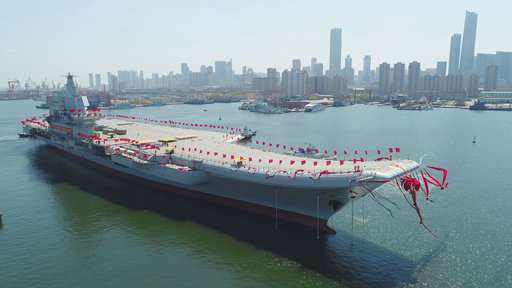 China's first entirely home-built aircraft carrier began sea trials Sunday in a sign of the growing sophistication of the country's domestic arms industry. 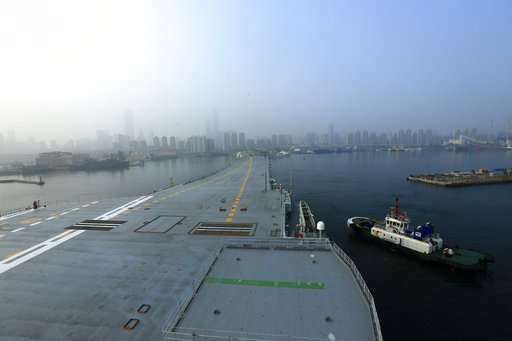 The still-unnamed ship left dock in the northern port of Dalian at 7:00 a.m. to "test the reliability and stability of its propulsion and other system," the Defense Ministry said in a statement. The Liaoning provincial maritime safety bureau issued an order for shipping to avoid a section of ocean southeast of the city between Sunday and Friday. The 50,000-ton carrier will likely be formally commissioned sometime before 2020 following the completion of sea trials and the arrival of its full air complement. The new carrier is based on the former Soviet Union's Kuznetsov class design, with a ski jump-style deck for taking off and a conventional oil-fueled steam turbine power plant. 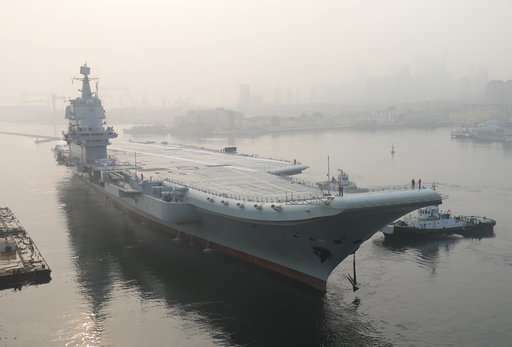 China's first aircraft carrier, the Liaoning, arrived as a mostly empty hull from Ukraine and was commissioned in 2012 along with its flight wing of Chinese J-15 fighter jets. 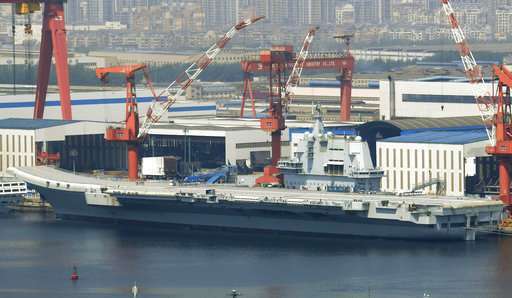 State media reports say China is also planning to build a nuclear-powered aircraft carrier capable of remaining at sea for long durations. China has the world's largest navy in terms of numbers of ships, although it lags behind the U.S. in technology and combat capabilities. It has been deployed to assert China's claim to virtually the entire South China Sea and is increasingly ranging farther into the Pacific and Indian oceans. China last year established its first overseas military base in the Horn of Africa nation of Djibouti, where rivals such as the U.S., Japan and several European nations also have a permanent presence.